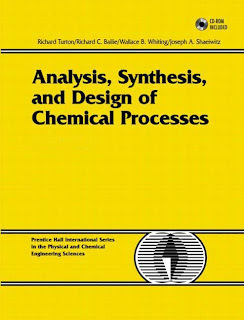 Appropriate for all courses in chemical engineering process design.Analysis, Synthesis and Design of Chemical Processes, Second Edition moves chemical engineering students beyond neatly delineated classroom exercises and into the world of solving the open-ended process problems they will see in practice. The authors accomplish this by emphasizing design synthesis of the entire process-from equipment sizing to optimization, finances to operation. Drawing on over 30 years of teaching chemical engineering process design, they present design as a creative process that integrates the big picture with the small details, and relies on knowing which to stress, and why. They show students how to apply key process design techniques to every aspect of the discipline, from the conceptual design of a plant to improving an existing process. This edition has been updated throughout, and contains extensive new coverage of environmental, health, and safety issues, green engineering, and engineering ethics. Coverage also includes: evolution and generation of multiple process configurations; estimating capital investment, manufacturing cost, and other economic factors; synthesis and optimization of chemical processes; performance analysis of existing processes and equipment; and more. The authors provide suggested curricula for both single-semester and year-long design courses, case studies and design projects with practical applications, and appendices with current equipment cost data and preliminary design information for four chemical processes. The accompanying CD-ROM contains powerful tools for helping students master chemical process design, including a thoroughly revised version of CAPCOST for evaluating fixed capital investments and full process economics; HENSAD for planning temperatures and heat exchange; a virtual plant tour of a simple chemical process; and additional student design projects. can you reupload the book pl? can you reupload the book plz?